Free soloing, simply put, is climbing without ropes or harnesses. But beyond that, it requires a great deal of mental preparation and stamina. Fear must become obsolete. One small mistake is all it would take to end the life of a free soloist. 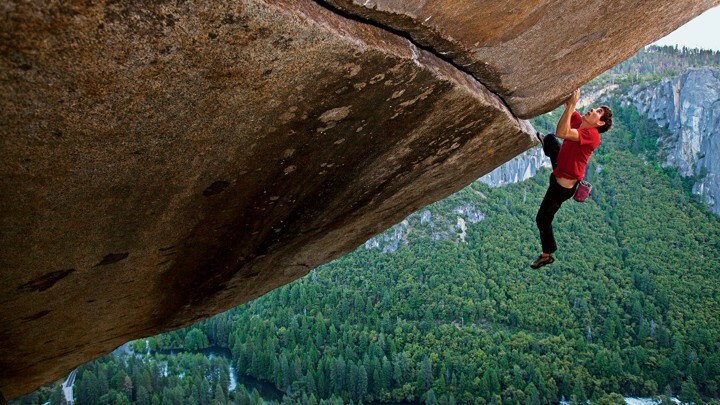 Alex Honnold has made a name for himself by setting world records for free soloing. He has trained physically and mentally to be able to do what no other human had done or what many had even thought was possible before. With only shoes and a chalk bag, he was the first and remains the only person to free solo El Capitan and Half Dome in Yosemite National Park, with the El Capitan climb being around 3,000 feet total. A video from national geographic captures him performing these feats. However, he is an inspirational person. He is an example of what we can achieve if we set our minds to it. Alex uses his fame and awards to do philanthropic work through his own Honnold Foundation. Leave a like if you enjoyed! Thank you for reading! Subscribe to our email list to receive blogs like this one!